Closeout. 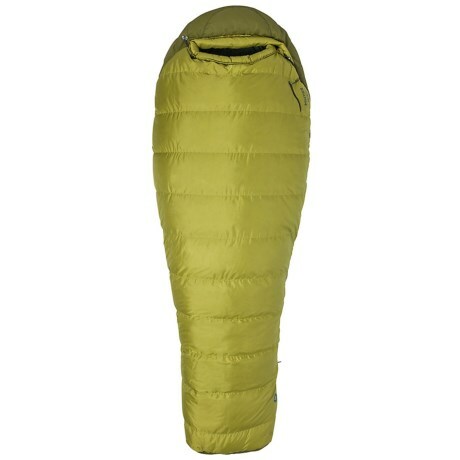 Marmotand#39;s 16and#176;F Radium down sleeping bag is filled with Down Defender moisture-resistant down that retains warmth even when conditions turn damp. Available Colors: DARK CITRON/MILITARY GREEN.